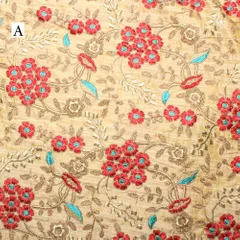 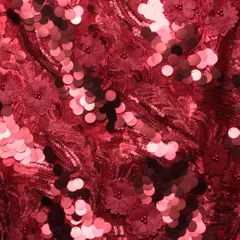 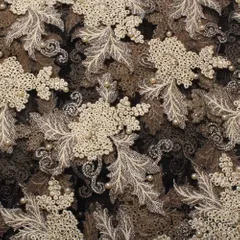 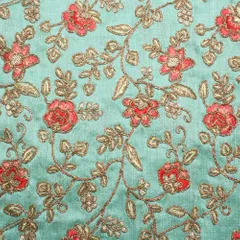 Visit us to buy the latest verity of designer fabric online, embroidery fabric, net fabric, silk fabric, satin fabric, fancy fabric, lehnga fabric online. 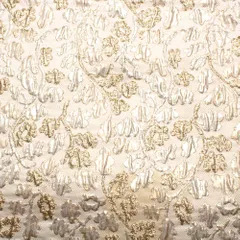 Exquisite is just a word, Fancy suits it best; Dreamy like a Bollywood diva and posh like the highest of the Royalty, Majestic like an exotic panache or neat like a well-crafted fine sculpture; fabrics govern our design choices, they get the best of the look from the style quotient. 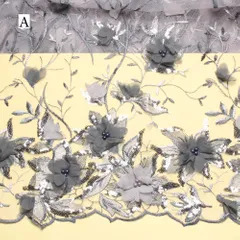 Bought to you by LaceCraft (now a MultiSeller site), the items have been chosen by our team ofwell-experienceandable mindedprofessionals in terms of the fashion flow and market requirements keeping the demands of our customers always at the prime. 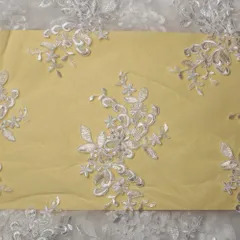 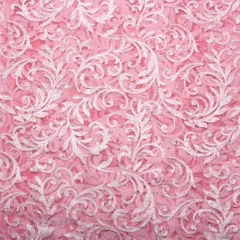 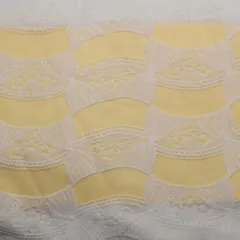 From a wide selection of vendors, these Fabric choices (Chic and trendy, designer, bridal, embroidered and heavy ornamented, silk, satin, fancy, elegant etc. 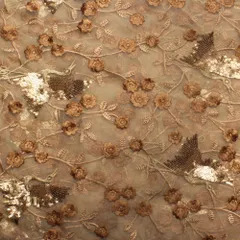 of the fabric types) just is the right element of that graceful ecstatic feel that tickles your style quotient. 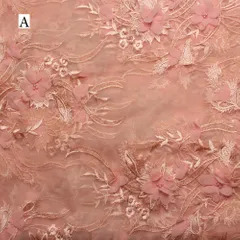 As a imperially royal bridal outfit or for a sensual refined saree, for a fusion designer style or a marvelous trendy item, as that special outfit for your someone special or as a grand upmarket element to your home decor, these fabrics don’t just give you great ideas but they bring that sparkle of awe to everything they are turned into. 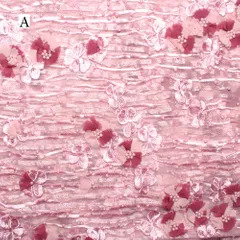 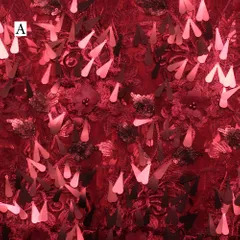 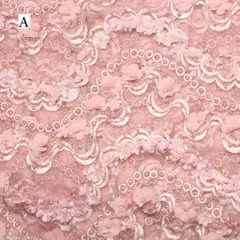 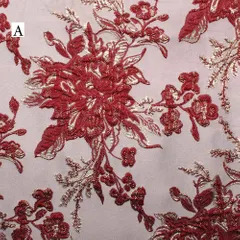 Material: Cotton/Silk/Satin/Chiffon/Brocade/Net/ Sequins/Beads/ZariZardosi elements etc. 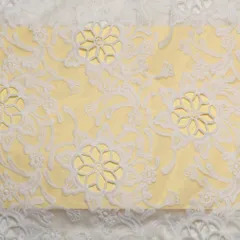 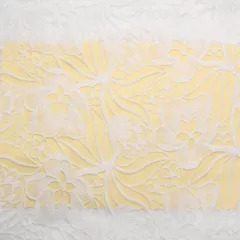 Can be used for: Formal/Casual wear, Party/Festive/Bridal attires, Kids Fashion, Home furnishings, Arts and Crafts, DIY projects, Multiuse type product. 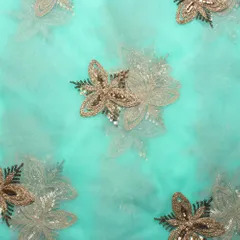 StylingIdeas: Made into a beautiful skater dress or a Qui-pao, as a saree (well bordered with a mirror worked border from our range of borders) or as a beautiful styled dupatta, as a designerlachaskirt or a special floor length churidar top, as a fit and flare gown or as a mini dress nipped at the waist, as a pegged skirt or a cardigan inspired top, as a part of an ethnic salwar or made into a crafty clutch, Stylising your window drapes or as an alternative to your gifting swathes…choices are many and the outcome the most beautiful with our product.